One of the most eponymous city neighborhoods in Mexico City is also one of the oldest. Iztacalco predates Tenochtitlan and has been home to generations of Chilangos ever since. Itztacalco is one of the smallest and oldest of Mexico City’s 16 delegations. These are administrative units that used to be similar to New York City’s five boroughs. All of these delegations are actually in the process of being changed to “municipios” that coincide more with counties in the US. It won’t be the first time Iztacalco has faced major change. Once right in the middle of the great Lake Texcoco which flooded most of the floor of the Valley of Mexico, Iztacalco as an island was occupied well before many other parts of what is now Mexico City. Founded in 1309, it’s actually older than the grand Tenochtitlan which is traditionally said to have been founded in 1325. Iztacalco means “house where salt is processed,” and early residents are believed to have been involved in the extraction and refining of salt from the lake. The emblem of the delegation, even to this day recalls a salt distiller. 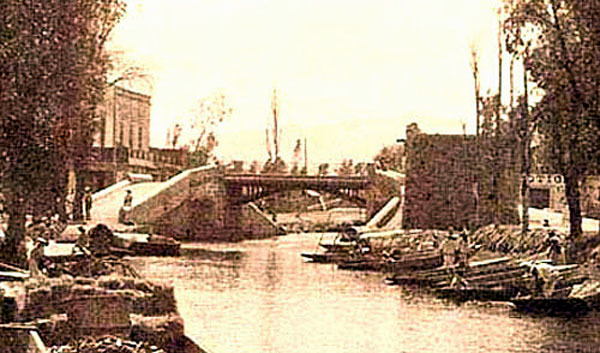 Iztacalco quickly evolved into a key launching point for canoes and barges crossing the Canal de la Viga and bound for Tenochtitlan, today’s city center, and points beyond. Early Iztacalco was formed by water canals and chinampas, the man-made island gardens and agricultural plots. It’s believed that the Mexica people inhabited a small island of Iztacalco prior to founding the capital of the empire that would dominate the lake, the Valley of Mexico and eventually most of Central Mexico. But up the arrival of the Spanish in 1521, Iztacalco became part of an administrative unit named for San Juan de Dios. The viceregal (colonial) period, saw much of local administration under the direct control of the Franciscan order, the priests and monks of which were responsible for evangelizing the area. The San Matias Convent was founded here in 1564 and some 300 Indians were educated here. By the end of the colonial period, Iztacalco had become primarily an agricultural community. In the nineteenth century, the area was part of the district of Tlalpan in Mexico state. 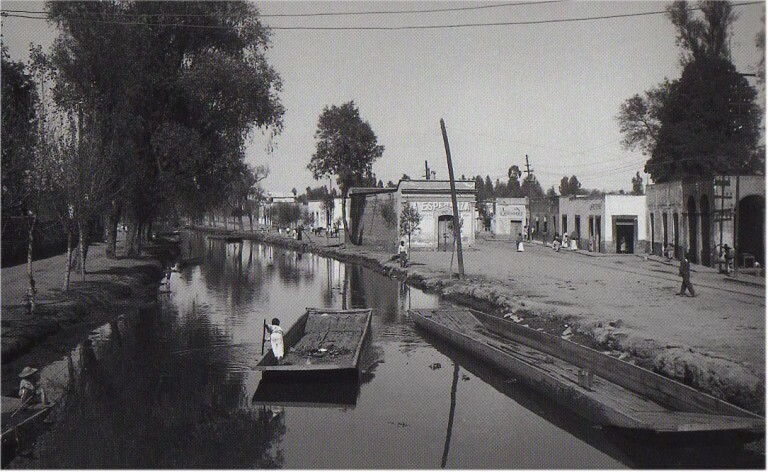 Still a key transit point, Itztacalco was a primary hub for barge traffic traveling the canals to places like Milpa Alta, Xochimilco and Iztapalapa Mixquic. By 1900, it had become a municipality and part of the prefecture of Guadalupe Hidalgo. But as the Constitution of 1917 took efffect in the wake of the Mexican Revolution, in 1929 Iztacalco became a delegation of the recently created Distrito Federal. 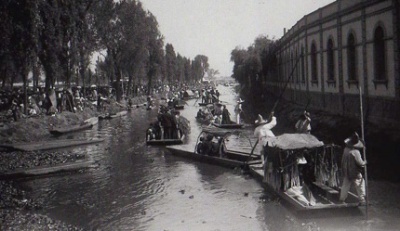 For safety and health reason, the Canal de la Viga was closed entirely in the 1930s and converted to an urban road. All the canals of previous centuries have today disappeared and are only sometimes visible in the names of the streets and alleys of Iztacalco. 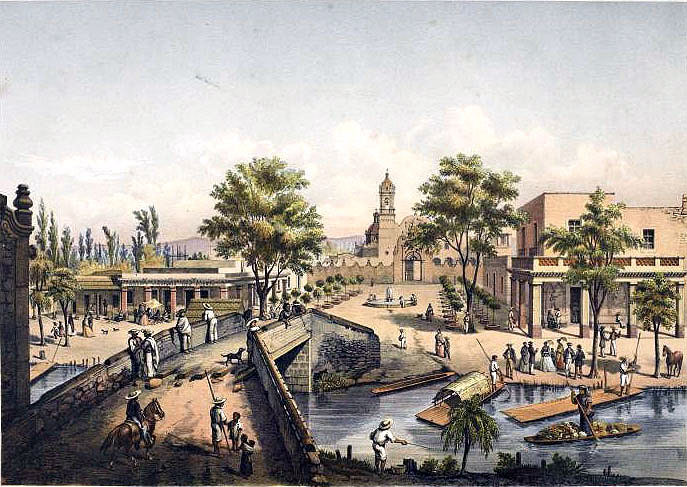 Everyone thinks they know Mexico City's Santa Fe, but the west side of the city was actually named for More's Utopia! Santa Fe is one of those “new, new, new” areas in the west of Mexico City. So new that lots of Mexico City residents have never been there, and many of them will never go. But Santa Fe is, like all of Mexico City, loaded with history and curious facts that make it always worth looking into a little deeper. During the long colonial period, the area was devoted to grazing animals and mining the relatively poor soil. The regions was divided into the towns of Santa Fe, Santa Lucia, San Mateo and San Pedro Tlaltenango Cuajimalpa. The villages were intersected by the Royal Road, New Spain’s first toll road that ran all the way to Toluca (and still does). Today it’s still known as the Vasco de Quiroga highway and the toll booth is still located in the nearby Contadero neighborhood. Named in honor of the first bishop of Michoacan’s “Hospital of Santa Fe,” Vasco de Quiroga was that famous friar who taught different skills to the various peoples of Michoacan. He also started numerous hospitals that provided not only for the sick but for pilgrims and travelers. Upon arriving in New Spain, Vasco de Quiroga took a look at the sorrowful state of things and got to work. Sent as a sort of a judge of the “Second Audiencia of Mexico,” which ruled from 1530 – 1534, he ended up founding both the Hospital and the Pueblo Santa Fe with his own money. Vasco de Quiroga’s believed primarily that charity would be the only way he could really make a difference. His attempt to redeem the fallen landscape led him to undertake no less than the founding of Thomas More’s Utopia, right here on Earth. Within a few years, the hospital was itself called Pueblo Santa Fe, literally the “people of Santa Fe.” And after 1532, the project essentially took on a life of its own and began to expand to other congregations and to form similar hospitals and social charity projects wherever it went. Quiroga maintained control over nearly all of them and enforced a set of rules he’d written down himself. Some of the rules still carry Quiroga’s idea of exactly how this was to translate into a Utopia on Earth. According to notes in the collection of the Institute of Historical Research of the University of Michoacan, “Parents should ensure the marriages of their children with daughters from other families in the same Pueblo-Hospital. Failing that the daughters of the poor from the same neighborhood could also be married.” Men were considered marriageable at fourteen, and women at twelve. In the extended family, all members were required to obey the eldest grandfather. Wives were to obey husbands, and children were to serve and obey parents, grandparents and great-grandparents. Any need for servants from outside the family was to be avoided. Santa Fe is said to be the remnant of that famous Utopian village. The ostentatious city of today grew up from the ashes of that early attempt at a perfect society. And though many Chilangos will still find it hard to believe, something of that hope and vision is likely still evident in the towers and underpasses that stand there today.